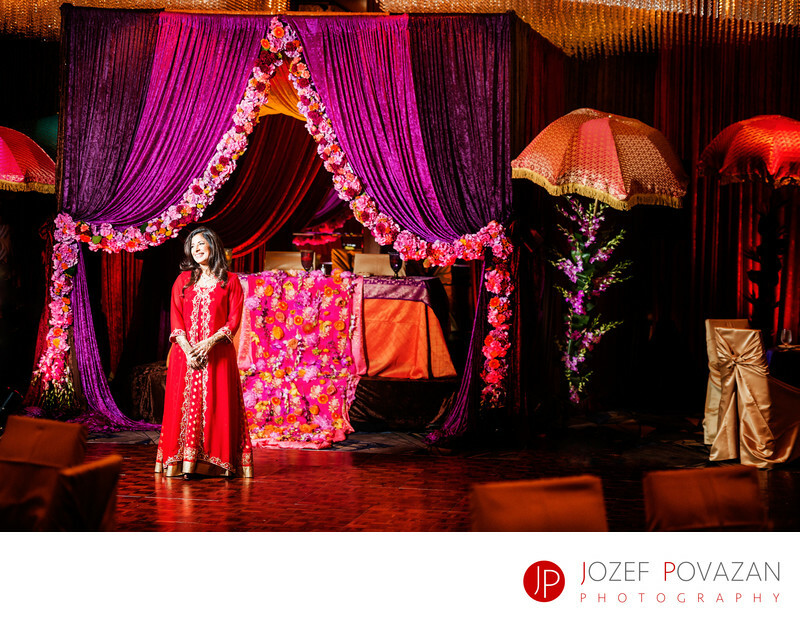 Indian Ismaili Bride at Mehndi Reception Pan Pacific - Best Vancouver wedding photographer Jozef Povazan Photography studio. Indian Ismaili Bride enjoying her Mehndi Reception at Pan Pacific Hotel Vancouver. Beautiful wedding story was created by Jozef Povazan Photography, Vancouver Award winning wedding photographer. Stories are created as unique way as your celebration was. Head table covered in roses , umbrellas and red and purple style moody decor hypnotized guests through the night. This multicultural wedding was a joy to photograph. There was so many amazing vendors present to make this big day to happen and it was a joy to photograph candid moments in these surreal ballroom fairytale. If you are looking for a wedding photographer i Vancouver for your Indian wedding engagement or wedding ceremony, I would love to hear from you. I have developed a very unique style to photograph specifically Indian brides and grooms and this became a big passion of mine through the last couple years. My name is Jozef Povazan and I am photographer who likes to see things a bit differently. Cheers. Location: Crystal Ballroom, Pan Pacific Hotel, Vancouver, BC, Canada.